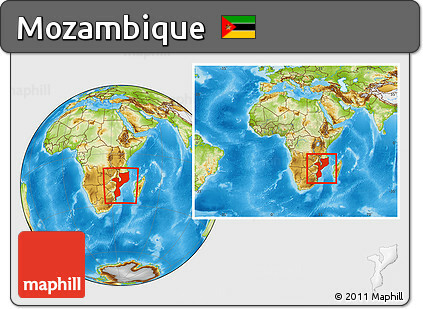 – Mozambique is a country in Southeast Africa bordered by the Indian Ocean to the east, Tanzania to the north, Malawi and Zambia to the northwest, Zimbabwe to the west, and Swaziland and South Africa to the southwest. – Country’s economy is based largely on agriculture, but industry, mainly food and beverages, chemical manufacturing, aluminium and petroleum production, is growing. – Since 2001, Mozambique’s annual average GDP growth has been among the world’s highest. – The country is drained by five principal rivers and several smaller ones with the largest and most important the Zambezi. – Mozambique is forecast to be one of the fastest growing countries in the next 10 years, helped by exports of coal and natural gas. – Mozambique is still a very poor country with half its people living on less than $1 a day. – The largest island in the archipelago, Bazaruto Island is about 23 miles (37km) long and four miles (7km) wide, surrounded by magnificent stretches of white sand. Enormous sand dunes comprise the eastern strip, while the interior contains large freshwater lakes frequented by a wide variety of water birds such as flamingos, and is inhabited by crocodiles. – Benguerra is the second largest island of the Bazaruto Archipelago, less than half a mile (1km) south of Bazaruto and like its neighbour, has stunning beaches, large sand dunes and freshwater lakes. Its forest and wetland areas attract a huge variety of birds and animals, while its surrounding reefs offer some of the best diving and snorkelling opportunities on the African continent. – Situated in the Tete Province in Mozambique, the Cahora Bassa Lake is Africa’s second-largest artificial lake. The Cahora Bassa Dam system is the largest hydroelectric scheme in southern Africa and it is one of the three major dams on the Zambezi river system, the others being Kariba and Itezhi-Tezhi. – Often referred to as ‘the place where Noah parked his Ark’, Gorongosa National Park was a playground for the rich and famous back in the 1960s, lured by the abundance of wildlife in the area. The subsequent years of war and poaching decimated the wildlife count but programmes have since been put in place to restore the park’s previous status as one of the richest wildlife refuges in the world. – Spanning an area of 42,000 square kilometres (10 million acres), the Niassa Game Reserve is the largest protected area in Mozambique, and one of the most pristine wilderness areas in the whole of Africa. Twice the size of South Africa’s famed Kruger National Park (making it roughly the size of Denmark), the Niassa Reserve boasts a high concentration (if not massive variety) of wildlife, incredibly varied bird life, and absolutely stunning natural scenery. Capital City: Maputo, capital of East Africa’s Mozambique, is an Indian Ocean port with preserved Portuguese colonial architecture. Many turn-of-the-century buildings are in the downtown jacaranda-lined Baixa neighborhood. The bronze-domed CFM Railway Station, for example, was completed in 1916. The Baixa also has an expansive Municipal Market. It’s near the Praça da Independência plaza, site of the neoclassical city hall.